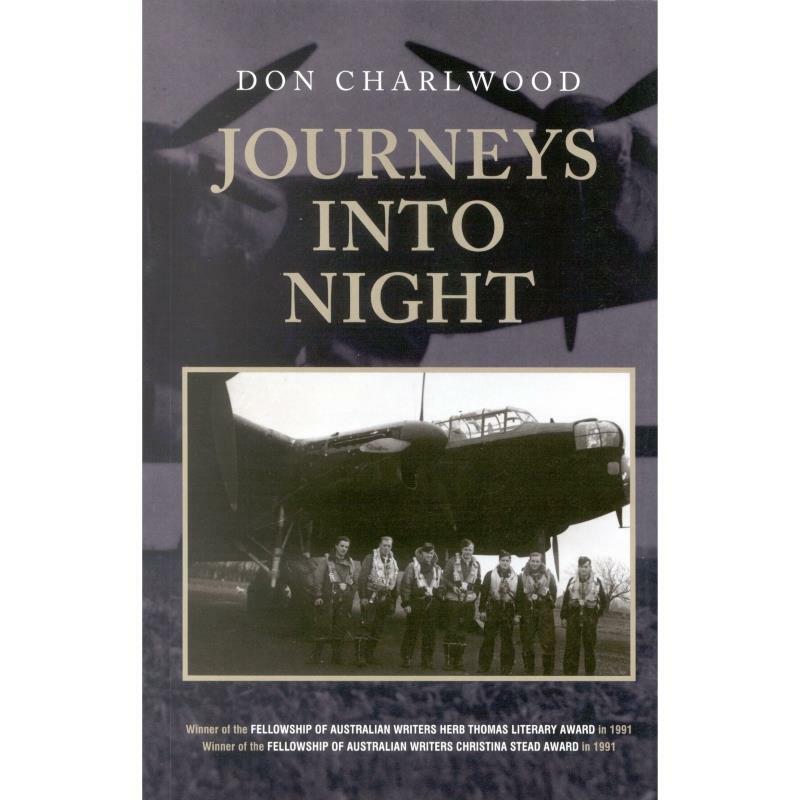 Books 28000 https://www.warplane.com/images/Products/28000.jpg Journeys Into Night is the second volume of Don Charlwood's autobiography, following Marching as to War. It forms a companion piece to Charlwood's highly-regarded elegy on Bomber Command, No Moon Tonight, expanding on the author's experiences as a WWII navigator. It is the story of twenty Australians who sailed together to Canada to train as navigators under the Empire Air Training Scheme. Most of them went on to Bomber Command, fifteen of the twenty losing their lives. Charlwood based much of this book on wartime diaries and letters, his own and those of others among the twenty men and Charlwood's crew members. This book is as much their story as it is Charlwood's own. Description: Journeys Into Night is the second volume of Don Charlwood's autobiography, following Marching as to War. It forms a companion piece to Charlwood's highly-regarded elegy on Bomber Command, No Moon Tonight, expanding on the author's experiences as a WWII navigator. It is the story of twenty Australians who sailed together to Canada to train as navigators under the Empire Air Training Scheme. Most of them went on to Bomber Command, fifteen of the twenty losing their lives. Charlwood based much of this book on wartime diaries and letters, his own and those of others among the twenty men and Charlwood's crew members. This book is as much their story as it is Charlwood's own.